THE FACTORS THAT SHOULD BE CONSIDERED WHILE REPLACING WATER HEATERS in Queen Creek, AZ. 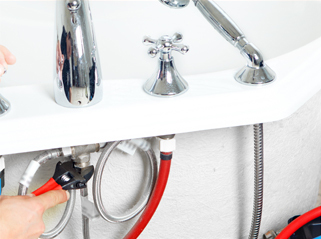 Water heaters are very handy pieces of household equipment given the pivotal role they play insofar as the provision of hot water, especially in the chilly winter weather, is concerned. They too, just like every other household equipment, are prone to damages, obsolescence, breakdowns, and other forms of wear and tear. Consequently, they or at least some of their constituent parts and components need to be replaced from time to time to guarantee their smooth functioning and the attendant benefits. The gist of the discussions that follow is centered on the subject matter of water heater replacement and endeavors to highlight and briefly explain the various factors that ought to be considered while replacing a water heater. It is a measure of the water heater’s overall efficiency. It measures the amount of hot water a heater may produce for every unit of power consumed. The higher energy factor is indicative of greater efficiency and should, therefore, be preferred over and above the lower ones. This refers to the actual capacity of the heater. It is expressed in gallons and it basically measures the total amount of water that a heater may accommodate at any given time. Household water requirements do vary with time. A replacement period grants homeowner a rare opportunity to re-examine their water needs and make the necessary adjustments if need be. As has already been stated, a replacement exercise grants homeowner the opportunity to re-evaluate their energy expenditure and take appropriate actions. Homeowners ought to ask themselves whether they are comfortable with spending the same amount of money on utility bills. If no, then they should consider alternative forms of fuel for their new heaters. If yes, then a new heater that derives its power from the same source ought to be acquired. Call us today for water heater replacement in Queen Creek, AZ.